Well, the new Pottery Barn catalog has arrived! As I flipped through the pages wishing I could afford everything, I came across this picture. How could you not love Pottery Barn? Now, look past the beautiful centerpiece on the coffee table. And past the inviting white couch. Do you see the mirrors? The wooden one is listed and you can order it, but the gold one is no where to be found in the magazine. But that didn’t stop me! I instantly realized I had almost the exact same frame in my stash. (I think the frame came from Michael’s). 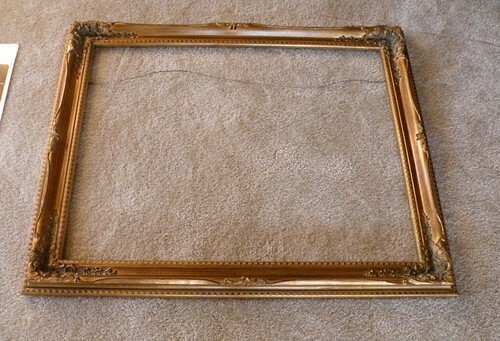 I haven’t known what to do with this frame so it’s just sat there for years. But not anymore! I measured the frame and assumed that any hardware store that carries vanity mirrors would come in this standard size. You can purchase a surprising assortment of bathroom vanity mirrors and they are not expensive at all. It’s got beveled edges, but I figured it would still look great anyway. I decided to go extra super fancy when I mounted it in my frame. 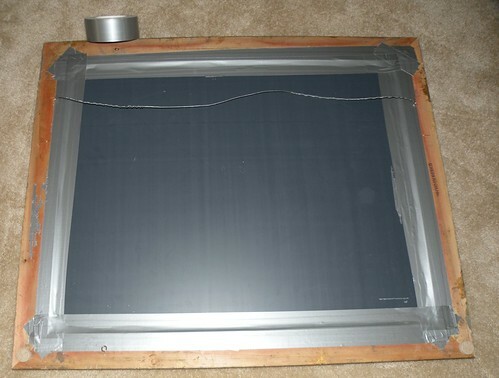 Nothing works as great as a roll of Duct Tape! 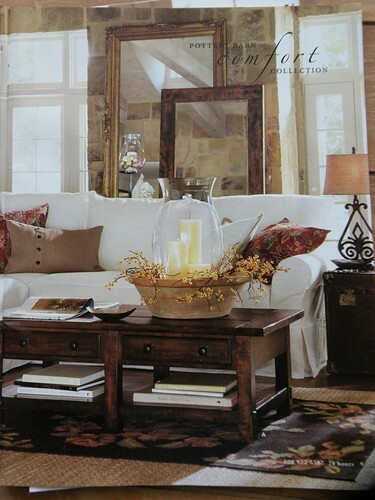 A Pottery Barn inspired mirror. It sat on top of my piano for a few days, but I finally hung it. I may rotate it and set it off to the side like Pottery Barn did. I’m not sure. And also the verdict is still out on the guitars. I may relocate those to my son’s room. The plan initially was to make this room a “music room” and hang all our guitars on the wall – I’ve got the two kid ones hung and now I have 5 more regular gee-tars I need to put up. But now I don’t know if I like the guitars. But I do love the mirror! Oh, and don’t worry, my antique piano I inherited from my mom who got it from her mom that was built in 1905 will be getting a face lift soon. Okay, so pretty much just ignore everything in this picture except for the Pottery Barn inspired mirror! I love when I can copy something out of a catalog and it turns out great. I’ve just recently found your blog. I love a lot of your ideas. I will definitely have to try this. I love the mirror! I, too, like the idea of a music room, but I’m not sure I’d like the guitars on the walls. I am going to be redoing my piano, too. I’m thinking of a mirror and silver combination. What are your plans for yours? awesome!! I love one upping Pottery Barn! 🙂 I’ve had three lucky finds recently myself. agreed, i would personally loose the guitars but the mirror looks fab! Love the mirror, though I prefer the way the PB mirrors were stacked and “sitting” on the furniture as opposed to being hung. I would personally also lose the guitars. But I love the idea of hanging them in your son’s room – fun! I have an inherited piano a lot like yours. What kink of facelift are you thinking of? I had to strip paint off of mine and repaint with black spray paint. I am a bit underwhelmed at the result. 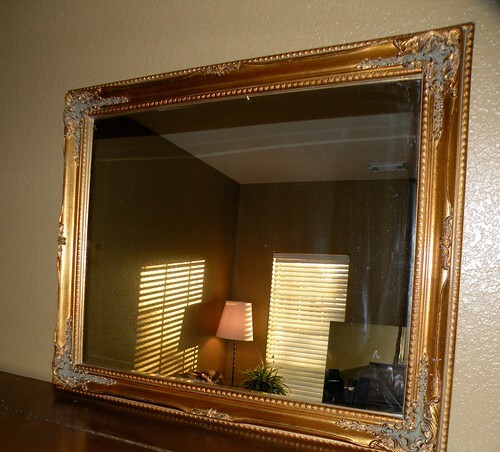 Great job on recreating the mirror – hmmm, honestly, I’d probably hang it sideways and “stack” similar to the photo – a little too old school for my taste otherwise – but that’s just me! The guitars….maybe a little modern for the piano? Who am I to say? It’s hard to judge from a photo – things always look different in person. Either way – great job!! 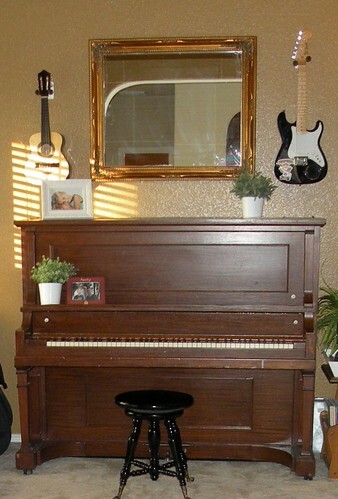 That piano is in amazing condition – can’t wait to see what you may do with it. That last bit was funny…I just did a house tour today on my blog, and I felt like saying, “Okay, that’s it, just look at the floors, nothing else!! !” Too funny! The mirror does look awesome, by the way. LOVE the piano. HATE the guitars. Um, PB is the ultimate inspiration. BTW, I left you a note on my blog! Gilmore Girls is my favorite show. I have the 6 seasons on dvd to prove it. Plus, I can quote the show at the drop of a hat! Way to go Allison!! I love when I’ve hing onto something for EVER and I finally find the most perfect thing to do with it. Then you finally feel justified for never getting rid of it! The mirror turned out awesome. I personally don’t actually mind it with the guitars. I like things unexpected sometimes and I think a good mix of style can be more impactful then a perfectly executed vingnette. I’m posting tomorrow about a an item I spied in the PB catalog and coppied too! Come check it out! 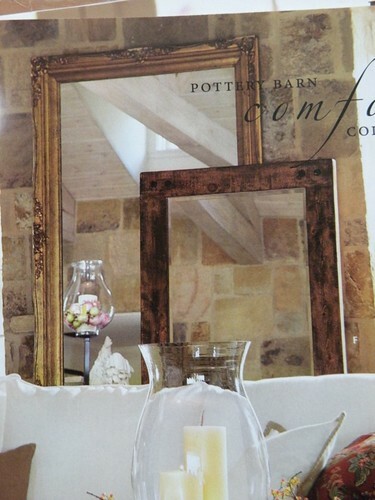 Yes, I too love Pottery Barn and what’s not to love about the mirrors??!! Your mirror turned out great!! FWIW, I would say yes on the mirror, no on the guitars, but it’s all about what YOU guys like – Good Luck! Like others, I dig the mirror & piano, and not so much the guitars – in that setting. 😀 It looks SO great!!! You can be very proud of it! I would turn it the other way, don’t know about the guitars, but I adore that piano. Wow, to have one that has such a history would be so nice. Your family must be very musical, how wonderful! Yep, PB has some of the best decorating ideas. I don’t think I’ve ever seen anything in the catalogs I didn’t love. I’m visiting from It’s So Very Cheri. I would love to have you join me for one, or all three, of my parties each week. I love the mirror! Our piano is from my mom, too. Love the mirror. Have you thought of etching a border or design? OR applying your monogram? Awesome ideas on here. I was about to ask you how tall your ceilings are that you could hang guitars above the piano – answer kid size ones! Your piano is even older than mine which is from 1909. I found you through your piano refinishing planning post!